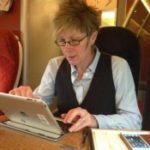 This blog post by Amanda Taylor (husITa board member, and Senior Lecturer in social work at the University of Central Lancashire) outlines Amanda’s digital journey and why it is that she is committed to finding ways for social work in England to engage more fully with the digital shift. My initial interest in digital technologies arose out of a need to keep in touch with my family and friends when I left Ireland in 2008 to pursue a career in social work education in England. I experimented with a number of platforms and apps until I found those most suitable for maintaining my connections back home. At that time choices were fairly limited. I used Email, Facebook and Instant Messenger (IM). My usage was largely dictated by both my communication requirements and the functionality of the tools. It wasn’t long however, having ‘felt’ the benefits of these tools, before my mind drifted to the affordances of new technologies for teaching and learning in social work education. I began to notice how conscious I was becoming about my ‘presence’ (Rettie, 2003) online. This shift in my awareness was, in part, due to my role as a social work educator, tasked with the responsibility of professionally socialising students for contemporary social work practice. I became increasingly curious about professionalism, linked to the digital shift and began to explore human existence more broadly within the context of place and space (Hubbard and Kitchin, 2010). More recently my attention has shifted, to concerns about why it might be that an increasing number of colleagues are being called to account by the professional regulator for behaviours on social media (Schraer, 2014; Stevenson, 2014; McNicoll, 2016, Stevenson, 2016) that weaken the credibility of the profession and threaten public trust. Since my journey into the online, and indeed to a greater degree the unknown, began I have taken the opportunities available to me to raise the profile of digital technologies in social work education, in a bid to highlight their relationship to professionalism in social work more broadly. I have embedded various methods into my teaching approaches to increase the digital awareness and capabilities of students, underpinned by the current professional standards for practice. An example of which is @SWBookGroup, an approach that incorporates the use of the microblogging platform Twitter to connect the profession in a global discussion for the purposes of consolidating learning through prompting reflection. The population of the group, both numerically and geographically, is testimony to its success. Another is @SWVirtualPal, a medium through which social work students, practitioners and academics can identify and connect with like-minded colleagues across the world to share interests and ideas. My social work virtual pal Laurel Hitchcock and I have recently blogged about this work at the request of the Chief Social Worker for Adults in England. You can read the blog here… Local Practice with Global Connections. Even though I felt like I was progressing my teaching methods and engaging in some really interesting work I remained dissatisfied about my understanding of the use of digital technologies in social work education. In some respects I felt like I was doing social work education ‘to’ and not ‘with’ students and had a deep desire to explore their digital experiences whilst engaged with their professional training. This need to know led me to design a study aimed at ‘examining the contribution of social work education to the digital socialisation of students in readiness for practice’. Due to the rapidity of technological change I have been sharing the progress of my study as it evolves on my professional social media channel. I have also blogged about this work and have just this week had a paper accepted for publication in Social Work Education: The International Journal entitled ‘Social work and digitalisation: Bridging the knowledge gaps’. There is still much to unpack and learn about social work in the connected age. I am often challenged about why I prefix the term professionalism with the word digital. My rationale for this is explained in the pending paper mentioned above, but in short it relates to the ongoing struggles that, as a profession, we seem to be experiencing in online spaces. The answer, as I see it, is quite simple: we need to account for the digital in everything we do. We need to reconsider the Professional Capabilities Framework in a way that reflects the digital shift, and we need to develop more pointed guidance that enables the profession to become more equipped and confident in online spaces. If we are to convey the complexity of the work and truth about who we are we need to do this ethically. Social media offers so many possibilities for this, so many opportunities to promote social justice and to tell the true and messy story of social work. A profession committed to the greater good. My need to stay connected personally has led me down a path of connecting professionally. It is hoped, if you haven’t already, that you might join me on this journey, of connecting the dots between the professional and the digital so that we can exploit the affordances that new technologies offer to do social work and to tell our story in a better and much more informed way. Hubbard, P. and Kitchin, R. eds. (2010). Key thinkers on space and place. London: Sage.